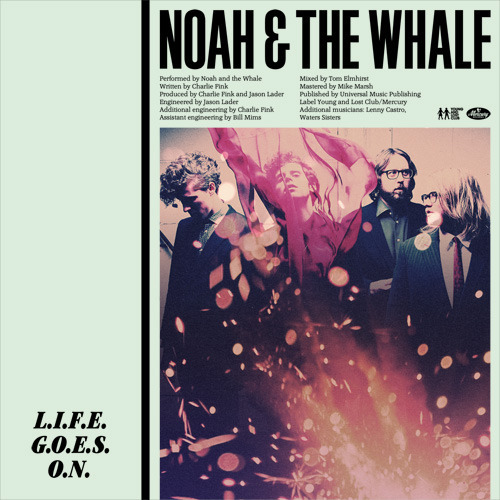 Noah and the Whale's latest single “L.I.F.E.G.O.E.S.O.N.” is bound to inspire the swaying carefree hippy to move with its Flaming Lips playing Americana vibes. British DJ and producer Fake Blood doesn't care about the hippies. The Fake Blood remix is appealing to that peaking feeling with its climb into a trance's heartbeat. All that remains from the Noah and the Whale original is the spelling of “life goes on” and the innocuous lyric “just breathe in the air” that when placed in the Fake Blood vacuum serves as a responsible guideline. BBC Radio 1 DJ Zane Lowe called the Fake Blood remix the “hottest record in the world right now.” So, it would be wise to work it into your next spin session at the club if you want to be respected. Noah and the Whale's Last Night On Earth is out March 15 on Mercury Records. Blake Gillespie is a Senior Editor at Impose. He lives in Sacramento and writes primarily about hip hop.